Emuge offers two different style NC Spot drill designs. 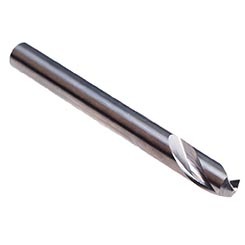 The 142˚ NC Spot drill is a traditional single angle drill while the 90˚ and 120˚ NC Spot / Chamfer drills have a unique double angle design for optimum performance. 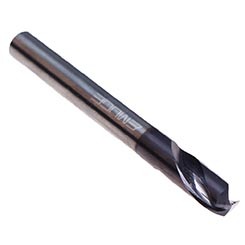 142˚ NC Spot drill is used to create an accurate starting point for secondary drilling operations for carbide drills with 135˚ or 140˚ point angles. 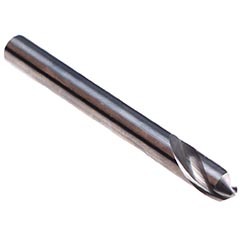 90˚ and 120˚ NC Spot / Chamfer drills can be used as a spotting tool for 118˚, 120˚, 130˚ or 135˚ high speed steel drills. They are also used as chamfering tools for tap drill holes.